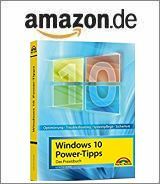 [German]Again it seems to be bad news for users of Windows 7 SP1 and Windows 8.1 who are deciding to stay with this operating systems. There are again signs, that Microsoft intends to force upgrades to Windows 10 in a rather aggressively manner. Microsoft intends to run Windows 10 on 1 Billion devices till 2017 – and therefore offers a free upgrade to Windows 10 for Windows 7 SP1 and Windows 8.1 machines. But not all users of Windows 7 SP1 and Windows 8.1 are willing or able to upgrade. Some machines fails due to a lack of driver support for Windows 10. Other users are depending on Software that’s not compatible with Windows 10. And others are not convinced of Windows 10 – for privacy issues or other reasons. In October I’ve published the article Block Windows 10 Upgrade using GWX Control Panel, that shows how to block Windows 10 upgrade on a machine. But now there are signs, that Microsoft has begun again to prepare Windows 7 SP1 and Windows 8.1 machine in a way that forces upgrades to Windows 10 in a more aggressive way. I was informed about that issue from a reader of my German blog. He observed that on new machines Windows 10 upgrade was downloaded without a users confirmation. Then I found the Computer World-article Microsoft sets stage for massive Windows 10 upgrade strategy, that brings a bit light into that issue. Josh Mayfield, the developer of GWX Control Panel (mentioned above) has been tracking Microsoft’s attempts to force Windows 10 upgrades. His goal was simple: Keep GWX Control Panel up to date to block Windows 10 upgrade on Windows 7 SP1 and Windows 8.1 machines. Mayfield said in an interview with Computer World, that several Microsoft updates has changed Windows Update client in a undocumented way. As a result, a formerly blocked update was ignored and Windows Update client tries to download that Gigabyte beast. “Over Thanksgiving weekend I started getting reports that the Windows Update ‘AllowOSUpgrade’ setting was getting flipped back on on a number of peoples’ PCs, and it keeps re-setting itself at least once a day if they switch it back off,” said Josh Mayfield in the Computer World interview. “This is new behavior, and it does leave your PC vulnerable to unwanted Windows 10 upgrade behavior” – see also Josh’s blog post. Therefore Josh Mayfield released GWX Control Panel version 1.6 with the new “Monitor Mode”. The program detects “behind the scenes changes” Microsoft makes in Windows 7 SP or 8.1 to force a Windows 10 upgrade. If such a change is detected (for instance after installing another Windows update), GWX Control Panel changes the settings back to a “do not upgrade” mode. More details may be found at computerworld.com. There has been a long time with “Google, don’t be evil”. For me, it seems now, that the new Microsoft management decided to play the “bad guy role” and opened the cyber war against it’s user base. If that scenario becomes true, and we can’t prevent/block a Windows 10 upgrade, it’s time to move to Linux. What’s your opinion about that topic? Have you observed this unwanted upgrades aka Windows 10 bloat ware? This entry was posted in Update, Windows and tagged Upgrade blocker, Windows 10. Bookmark the permalink.